In Washed and Waiting, Wesley Hill writes for gay Christians and those who love them. Part-memoir, part theological reflection, he shares the struggles that gay Christians face as they seek to live faithful to God’s “no” to homosexuality. The updated edition includes a new afterword by Hill that continues his story since the book first released. Writing with deep empathy and with fidelity to historic Christian teaching, Wesley Hill retrieves a rich understanding of friendship as a spiritual vocation and explains how the church can foster friendship as a basic component of Christian discipleship. He helps us reimagine friendship as a robust form of love that is worthy of honor and attention in communities of faith. This book sets forth a positive calling for celibate gay Christians and suggests practical ways for all Christians to cultivate stronger friendships. In an age where neither society nor the church knows what to do with gay Christians, Greg Coles tells his own story. Guiding Families of LGBT+ Loved Ones provides practical insights on how to honor God and radically love LGBT+ people in your life. Lead Them Home’s 150-page, interactive guide is a comprehensive resource that rapidly equips pastors, parents, and all who care. 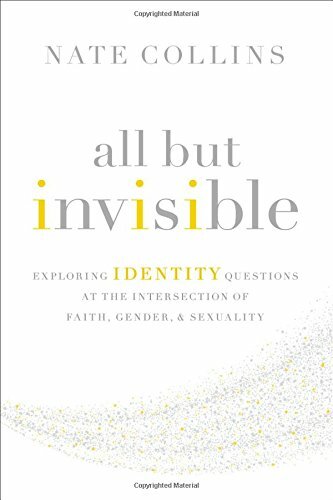 Exploring Identity Questions at the Intersection of Faith, Gender, & Sexuality. In a move that surprised even herself, Eve Tushnet converted to Catholicism as a Yale undergrad. Already self-identifying as a lesbian, Tushnet searched for a third way in the seeming two-option system available to gay Catholics: reject Church teaching on homosexuality or reject the truth of your sexuality. This book is the fruit of Tushnet’s searching: what she learned in studying Christian history and theology and her articulation of how gay Catholics can pour their love and need for connection into friendships, community, service, and artistic creation. This is Henri Nouwen’s "secret journal." It was written during the most difficult period of his life, when he suddenly lost his self-esteem, his energy to live and work, his sense of being loved, even his hope in God. Although he experienced excruciating anguish and despair, he was still able to keep a journal in which he wrote a spiritual imperative to himself each day that emerged from his conversations with friends and supporters. Homosexuality is one of the most divisive topics among evangelical Christians today. In People to Be Loved, Preston Sprinkle challenges those on both sides of the debate to consider what the Bible says and how we should approach the topic of homosexuality in light of it. Understanding Sexual Identity by Mark Yarhouse is a practical, compassionate explanation of how teens form their sexual identity in today’s culture. Pastors and youth ministry volunteers will understand how to help individuals navigate today’s culture and form a sexual identity that honors Jesus Christ.